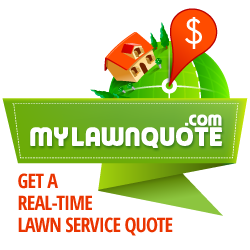 Our lawn & tree services are one of a kind and offer you something that many other companies fail to—a horticulturist. We believe in having quality people provide our great services to give you the best outcome possible. Through our comprehensive programs, you can find the right services that meet your needs. The Complete Lawn Program includes six timely fertilizer applications. Early spring treatment includes a pre-emergent application, which helps to control crabgrass and other annual weeds from emerging in the spring. Spring and summer treatments include broadleaf weed control applications to keep lawn weeds to a minimum. The Complete Lawn Program also includes control of lawn damaging grubs or billbugs. The Complete Landscape Weed Control Program includes a spring and fall pre-emergent application to prevent emergence of many annual weeds in shrub bed areas. This program also includes four timely spot spray treatments to control weeds in shrub beds and hardscape areas. The Complete Tree and Shrub Care Program includes a spring and fall fertilization treatment. We inject liquid nutrient into the root zone of your trees and shrubs, promoting healthy plant growth. This complete program also includes one dormant oil treatment and three additional insect and disease treatments. The timing of these insect and disease treatments are customized specifically for your landscape’s needs. ROUND 1: Round 1 is a liquid application with a Pre-Emergent weed Control formula. This prevents seeds that may have blown into your yard during the winter to germinate. Application time is approximately March 1st to April 15th weather permitting. ROUND 2: Round 2 is a liquid application of a balanced fertilizer designed to maintain consistency in your lawns health, color and density. It includes complete control for broadleaf weeds and late spring weeds like dandelions, clover, crabgrass, etc. Application time is approximately April 16th through May 31st weather permitting. ROUND 3: Round 3 is either a liquid solution or a granular fertilizer. (which ever your lawn needs) and complete control for summer broadleaf weeds. Application time is approximately June 1st through July 15th weather permitting. ROUND 4: Round 4 is either a slow release liquid or a granular fertilizer to help maintain your lawns thickness and it’s healthy green color. It is also for broadleaf control. Application time is approximately July 16th through August 31st weather permitting. ROUND 5: Round 5 is a granular fertilizer to help maintain your lawns thickness and it’s healthy green color. It is also for broadleaf control. Application time is approximately September 1st through September 31st weather permitting. ROUND 6: Round 6 is a balanced fertilizer to feed your yards needs It also has a balanced solution for broadleaf control. Application time is approximately October 1st through October 31st weather permitting. ROUND 7: Round 7 sets your lawn up for it winter hibernation. Round 6 is a granular fertilizer designed to feed the root system through the winter months. This promotes a thicker and greener lawn the following spring. Round 6 also includes a special broadleaf weed control if there are any active weeds are present. Application time is approximately November 1st through November 30th weather permitting.